The issue of gerrymandering was put to the U.S. Supreme Court Tuesday. 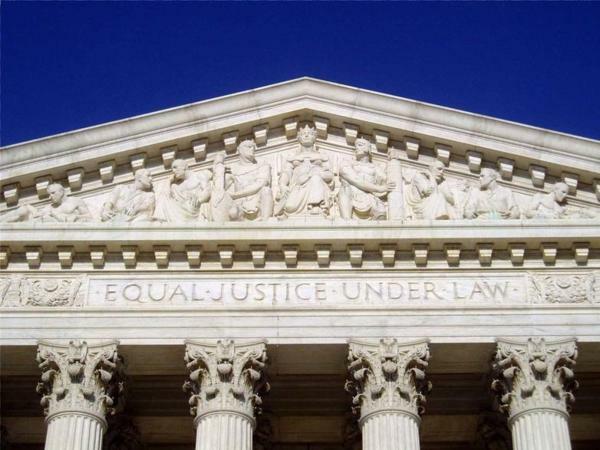 The issue of gerrymandering was put to the U.S. Supreme Court Tuesday. Justices have heard one case from Maryland and another that challenges North Carolina's congressional maps. Jeff Tiberii of North Carolina Public Radio was at the Supreme Court for Tuesday's arguments and joined WFAE's Gwendolyn Glenn to talk about them. Glenn: So Jeff, we already know the plaintiffs in this case — Common Cause and the League of Women Voters — argued that North Carolina's congressional maps favor Republicans too much. So what were their arguments for why that's the case and how did justices respond? Tiberii: So attorneys for the plaintiffs contend that this is an example of extreme gerrymandering and they point to 2018. In that most recent election cycle, of all the votes that were cast for U.S. House candidates in North Carolina just more than half — 50.8 percent of them — went to Republican candidates. Yet at the same time, Republican candidates won 77 percent of the U.S. House seats from North Carolina — 10 out of 13. Their contention is that this is just too partisan. And the fact that when the North Carolina House Republicans redrew these maps, they, to an extent, boasted. They said we're doing this from a partisan perspective and we are doing this to maximize partisan purposes. So, the plaintiffs contend that this has gone down such a road and it's so far down that path that it needs to be reined in and the time to do so is now. Glenn: Now much has been made of one lawmaker's comment — Representative Dave Lewis — that the only reason the districts favor Republicans by a 10 to 3 margin is because they couldn't make it work to favor Republicans by an 11 to 2 margin. Did that come up? Tiberii: It did. It absolutely came up. And you know I've spoken with David Lewis several times about that comment and I've asked him before if he regrets making that comment. And he says he does not. What he regrets is that he didn't finish his thought, that he didn't provide all of the context. And what Lewis said on the floor and what he was attempting to say in full is that from his perspective as a conservative, he wants to elect as many Republicans as possible because he believes that's better for government. He believes that's better for the people of North Carolina, the people of the United States. And what he was referencing there in the 10-3 model was that by following all of the criteria set forth, they were following all of the different arms and standards that they were supposed to. And by adhering to that, they were able to come up with maps that would elect 10 Republicans and they couldn't come up with a set of maps that would elect 11 Republicans. And Riggs, to her perspective, warned that one of the reasons this needed to be reined in is that you have lawmakers like Lewis or you know effectively embrace it. She used the word "cloak," [and said they were] cloaking themselves as this partisan extreme partisan maps and that's not good for democracy. Glenn: Did you hear or get any sense of what they were considered being too far in terms of partisan gerrymandering? Tiberii: No. Well, we didn't hear that. You know I think there was an interesting exchange that took place between Justice Brett Kavanaugh, the newest member of the court, and Allison Riggs, who's the attorney for the North Carolina League of Women Voters. Kavanaugh said, "One of the things I gleaned from your briefs was that extreme partisan gerrymandering is a real problem to our democracy." And he said, "I won't dispute that" which is interesting because this is a conservative justice who acknowledges that there are legitimate concerns about extreme partisan gerrymanders. But he — along with Justice Neil Gorsuch — asked several times, "why does this court have to get involved? Aren't there other actors?" And when they say actors they're referring to state supreme courts. That's something we saw in Pennsylvania last year. We saw partisan gerrymandering challenge go all the way up to the Pennsylvania Supreme Court and we heard from some conservative justices today asking about Congress, as well. If this is such an issue shouldn't Congress be the one to act here? Glenn: So Jeff what was their response to those questions from conservative justices? Tiberii: You know attorney Allison Riggs answered it pretty concisely. She said that other options — whether that's a state supreme court or policy action by the U.S. Congress — other options don't relieve this court, the U.S. Supreme Court, of its constitutional right. She pivoted back several times to the fact that this court has an opportunity to act and to act narrowly in a way that would offer some sort of remedy to the partisan gerrymandering that has played out in North Carolina. Glenn: And let's talk about the defense by attorneys for lawmakers defending North Carolina's congressional maps. What was their defense? Tiberii: Ultimately, their defense boiled down to the fact that the framers of the Constitution did not include anything about proportional representation within the states. And Paul Clement — who was the defense attorney today, but was a former acting U.S. solicitor general under George W. Bush — he said therefore this is a justiciable. Effectively, that means that this is not an issue for the court to decide. He noted Massachusetts — that no one thinks it's unfair that in Massachusetts it's almost certain that no Republican will ever be elected, presently, for the U.S. Congress despite the fact that Republicans take up about one-third of the electorate there. He also noted that depending on how justices do rule here they effectively open up the floodgates to all kinds of litigation as it pertains to election results and election boundaries. Glenn: Now Jeff you've been covering this issue for several years now, did anything surprise you today? Tiberii: No, I don't think there were any major surprises here. You know, gerrymandering is a tall order to undo. We've had this on the books, it's been a permissible practice in American politics for more than 200 years. And I think reasonable people who bring, you know, a dose of intellectual honesty to any conversation will tell you that it has certainly become more and more enhanced and nuanced. It's certainly extreme in some cases, but the fix is the major question here. If there is going to be a standard that's set for partisan gerrymandering what is the standard? What is the fix? What are the parameters? And that's still, to a lot of people, is unclear.